With the economy being as tough as it has been this past year, many individuals have been too busy focusing on their own financial issues to really focus on the tax issues of others. Well luckily with a little research on the web and a review of all daily tax e-mail (yes I did keep the whole years worth), I am able to present a year in review of celebrity tax problems. You would think that with all the money these people make or have made that they would at least put some aside for Uncle Sam. Oh well guess not. Wow typing this post makes me almost feel like a reporter on one of those tabloids TV shows. Be sure not to use any of these people’s accountants. It is the day after Christmas and so begins’ the start of the great return season. In this case the word return can take on quite a few different meanings. For some it will mean returning back to work to help those still on vacation. For the vacationers, it will mean going to the store and returning some of those unwanted gifts that were given and to some others it will mean returning to the shopping centers to look for bargains on items that are reduced for a quick sale. For me, the return means a chance to get back to work, although by using technology, I am always one click away from accessing the tools I need to get tasks completed. The iPhone has been a great addition to many small business owners’ technology tools arsenal. While surfing the net yesterday, I came across this fun article of some of the best iPhone apps for 2009. The majority of theses apps are more for personal use however there are a few that can make one’s life a bit less confusing. Enjoy. Here is an interesting article that I came across this morning regarding the steps small business owners should take when hiring for positions next year. I found the article to provide some very good ideas that many small business owners can benefit from. The advice to consider converting employees to independent contractors (IC’s) and/or hiring contractors is pretty sage, but I personally would seek out independent contractors outright. Converting employees to IC’s can be pretty dangerous and is frowned upon in the eyes of the IRS and other regulating bodies. The best advice in the article to me was the last suggestion to change your thinking and get away from the 8-5 work day. There is currently a change occurring in the working environment and many jobs can be done from the comfort of one’s home and at a cheaper price. 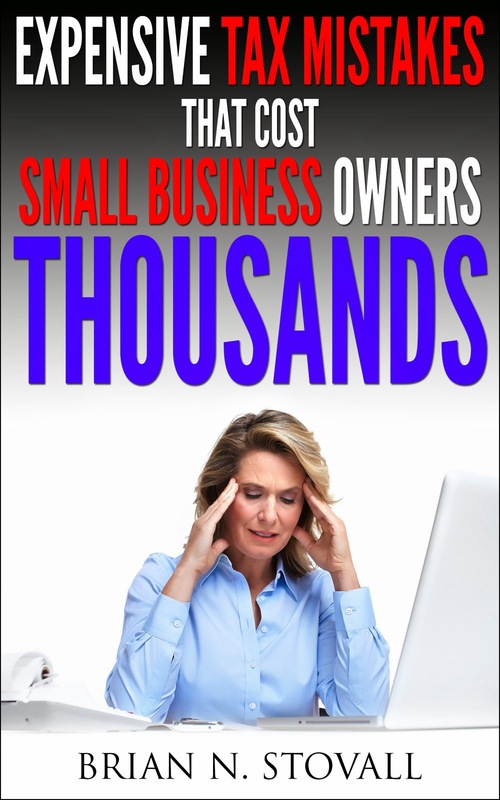 This is definitely on way for a small business owner to save money in the long run. Let me know what you think small business owners. In a recent post, I mention the problems many QuickBooks users were having with the new R9 update for QuickBooks 2009. The problem with the update was so bad that many QuickBooks users decided to downgrade their software back to the R8 update and work from there. The problem caused a great deal of frustration for many of the accountants that use QuickBooks to service their client’s books due to many accountants upgrading their system, only to find out that they could not use the data sent from clients on their system. QuickBooks did however, respond to the issues with the R9 update (see their response here) and made available a new update (R10) that should fix the issue. Actually the R10 update is more of an oops we screwed up and here is our solution, instead of an update. Now that the R10 update has been released, some accountants on the discussion boards seem to be having similar issues as the R9. One particular issue is the compatibility with earlier versions. We tested the R10 update in our office and noticed that it is not backwards compatible with earlier updates (i.e. R8) as we were not able to open client files from R8. Maybe the update issue is not completely over QuickBooks so there may be some late evenings for all of us trying to fix this problem. This is just another example of why a cloud based accounting solution may be the best fit for your small business. There are no updates to be done since the software is on the internet and updates are completed at the enterprise level and do not affect your day to day operations. Let me know what you think. With the year coming to an end, I thought this would be a great time to take a look back at some of the major developments that have affected the small business community the past year. This is just a quick review of some of the developments that we have read about and some that we have actually implemented in our firm. One interesting factor that we found was how different regulating bodies define the term small business and how those definitions affect a small business owner’s strategy going into the New Year. While the economy has continued to decline for many small business owners, there are quite a few “indicators” that say that the economy is looking up for the small business owner. According to recent posts, the Small Business Administration is attempting to increase the assistance to small business owners and has redefined their definition of what constitutes a small business. The SBA also has a great deal of qualification factors for their financing programs so be sure that your small business will qualify for the programs offered. Since small businesses make up the majority of the economy, until those businesses have access to the necessary capital to expand; the economy for small business owners will continue to lag in 2010. The tax situation for the small business owner can be a strange beast considering there are different strategies that can be applied depending on the size and industry of your small business. Couple the tax code with the state of the economy, and it makes the road to recovery quite rocky for the small business owner. Although there is a great deal of tax incentives out there for small business owners, many are having a hard time implementing them without the help of additional funding. One example is the depreciation deduction. Many small businesses would like to purchase additional equipment and technology, to take the tax break, but without the necessary funding those deductions fall to the wayside. Technology can be one of the better developments this past year for the small business owner. With technology changing virtually daily, there is always someone out there introducing a product that can make the small business owner lives run a bit less hectic. This past year there were quite a few introductions in Web 2.0 technologies that can help the small business owner increase their reach and web presence. More and more small businesses are starting to embrace the cloud computing or Software as a Service (SaaS) model as online data storage and software hosting solutions gains in new business. The use of smart phones has continued to see gains as even individuals are starting to use them to organize their personal lives. I personally see the trends in technology to continue to advance at more and more small businesses see the benefits of technology. Right now our firm can update information on social media sites, service accounting clients, and have anytime access to our data from our smart phones and I personally would not have it any other way. Be sure to post some of your comments about this past year or what you feel will be the driving forces for small businesses in 2010. As for my opinion, I think that if small businesses look for ways to streamline their operations with the use of technology, and think outside the box when it comes to marketing the road to recovery can be a bit smoother in 2010. So the iPhone is quickly becoming a viable business technology tool and many small businesses, entrepreneurs, and individuals are beginning to see the many great uses for the smart phone versus the Blackberry. I recently came across an article on PCMag.com that outlines some of the best business apps for the iPhone and a brief description of each app. Some of the apps I have tried and some I am in the process of downloading. I was a bit surprised to see the AT&T virtual receptionist app and was curious why the carrier did not advertise this app a little more when one purchases the iPhone. Oh well. Enjoy reading the article and feel free to comment or post some of your favorite iPhone apps. The end of the college football season is near. This weekend marks the start of the BCS (Bowl Championship Series) selection with the conference championship games beginning. There are a lot of great teams out there that have worked very hard to get to their conference championship games and the day is sure to be a very exciting one. Many of the coaches that have been in the driver’s seat all year have to continue to coach at a high level to ensure that their teams don’t get complacent and think that they are entitled to the champion crown (as I write this post Pitt is beating the favorite Cincinnati). The same can be said for many of the small business accounting software vendors that are vying for the small business accounting market. Now that Microsoft has withdrawn their offering from the small business accounting market, the major player Intuit’s QuickBooks may feel that the battle is all but won. If I were the head coach for the QB team I would have to tell the troops to hold on one minute and don’t get complacent. There is still a great deal of competition out there (the major competition is Sage’s Peachtree Accounting) and although QB is a great product, they still have problems with executing software updates (see R9 update issues) and compatibility issues with the new Windows 7 operating system. Makes a small business owner wonder if there is a small business software title that can execute processes virtually flawlessly and not give the small business owner problems every year. I did come across a SaaS product (software as a service) that may provide small business owners with everything they need to operate their business from anywhere and efficiently. I will be test driving the product called WorkingPoint and provide a little more insight into how well it works versus a problematic off the shelf software product. More on that next week but until then back to the football games at hand. I as was going through my morning reading yesterday I came across two articles that may be good news for many small business owners. The first is hopefully a sign that the small business economy is on the way back to recovering. According to a report by ADP, small businesses are still slashing jobs, but they are at a smaller rate. The economy may be on the rebound for Wall Street, but as unemployment numbers continue to climb, the recovery takes a little more time to affect the small business owner. Since the rate of job cuts for small businesses is going down somewhat, this may be a good sign that small business owners can again be productive in the coming months. Another article is sure to assist small business owners in the recovery, the only problem is many small business owners don’t even know about this new program. A recent survey by the George S. May International consulting firm indicated that over 75% of small businesses were not aware of the new SBA loan programs that were included in the American Recovery and Reinvestment Act. The ARC (American Recovery Captial) loan program allows small businesses deferred payment loans up to $35,000. The only problem is many small businesses had no clue about the program. This may be a good time for those small businesses that need assistance to stop by your local SBA office and investigate securing one of these loans. Now that you know about the loans, there is no reason to miss out on the program.